What are the top two threats to water quality on Glen Lake and what does the GLA do about it? The top threat to water quality is biological pollution in the form of invasive species. Our boat wash program is GLA sponsored and is our first line of defense. Education is also a big part of making sure our invasive species is minimized. Also, the GLA monitors and survey’s the lake and shoreline for aquatic and terrestrial invasive species so that early detection can be our best approach to eradication. The second threat to water quality is excessive nutrient loading. The GLA has ongoing programs such as the Guardian program that helps reduce nutrient loading. I understand that swimmer’s itch is a problem on Glen Lake and want to know what the GLA does to minimize its effect on swimmers? Swimmer’s itch is caused by an invisible parasite that cycles between Common Merganser Ducks and one species of snail. The GLA has been a leader in research, control, and education on this issue and is committed to breaking the life cycle. 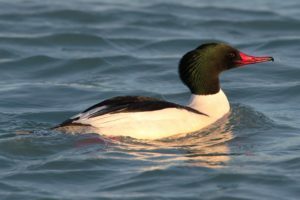 The GLA is actively reducing merganser hours on any particular shoreline by harassment tactics both spring and fall and currently, is considering contracting with a company for a three-year program that aims at control, research and education. How can I protect my family from swimmer’s itch? The GLA has used a variety of educational avenues that address how to prevent getting swimmer’s itch by swimming “smart.” We encourage swimmer’s to avoid shallow water, especially when there is an onshore wind. Also, we ask swimmers to consider applying Itch Guard, Bullfrog, or Sea Safe creams prior to swimming. Finally, whenever possible, swim in deeper water where the itch problem is more diluted. Does the GLA monitor the water quality of Glen Lake? Yes. The GLA has a hired Watershed Biologist who dedicates his role to monitoring the water quality for numerous water quality parameters. This monitoring is done on a year-round basis. The GLA also participates in a statewide program for water quality monitoring. What have been some of the recent water quality projects that the GLA has sponsored and how effective were they? The Hatlem Pond Dredge project has been completed that has allowed for major reduction in sedimentation in Big Glen Lake. Another project that currently is underway is the Glen Lake Guardian Program that educates and promotes riparians and watershed residents to “take the pledge” to do a little (or a lot) more to implement the best management practices to become “lake friendly.” We currently have 180 families that have taken the pledge with our 2016 goal to double that number. What are some of the major divisions of the GLA’s Water Quality Committee? Invasive species, water quality monitoring, boat wash program, swimmer’s itch, Guardian Program, Discovery Boat, and dredging are among the main components of the water quality committee. Why can’t the GLA do a better job of controlling lake levels? Who sets the lake levels? Controlling lake levels is a complex task that is dependent upon a variety of factors not all of which are under human control. There is a legal requirement for the GLA to balance the lake levels with the flow of the Crystal River in a water sharing program. The State of Michigan sets the legal lake levels. Why is protecting our shorelines so important for the health of the lake? Glen Lake naturally receives nutrients from the land and rain that enable plant and animal life to live. However, excessive nutrients coming into the lake via human impact is preventable by employing “best management practices.” Adding too many nutrients to a lake will deteriorate water quality irreversibly. So using the greenbelt buffer concept, filtration of nutrients will occur and reduce or eliminate excessive nutrient loading. Where are the boat access locations? How big a boat can be launched on Glen Lake? The boat access location is on the northeast shore of Little Glen at the DNR boat launch. Generally, boats up to 20 -25 feet can be successfully launched at this access. What is a Legend and how do I become one? A legend is a person who names the GLA in their estate planning as a beneficiary. To become a legend, simply provide proof, regardless of the amount, that your estate planning includes the GLA. Learn more on our Get Involved page. If I donate to the GLA, how is the money used and can I restrict my gift for specific programs? If you donate to the GLA, your money will go towards general operations. Yes, you may donate funds and direct them to a particular activity of the GLA. Learn more on our Get Involved page. I pay property taxes and support the Leelanau Conservancy, so why should I join and support the GLA, too? GLA is a nonprofit 501(c)3 organization and by law, your property taxes do not help offset any costs of the GLA. While there is some overlap with Leelanau Conservancy and the GLA’s mission, the Conservancy is primarily interested in buying land and protecting it with conservation easements. 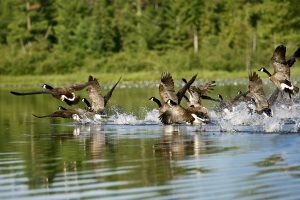 The GLA is focused on the watershed and protecting and preserving it now and for future generations.